Kent Pritchett - is a colorist of over 20 years. From Atlanta, his skill set took him to LA and then to Australia and New Zealand, before settling in the Bay Area. His time with Lucas Film/ILM, Disney Feature Animation, DreamWorks Animation and Autodesk Media and Entertainment, has given Kent a broad and impressive resume of film credits and expertise. Add to this a decade working in Hollywood and you have a reputable, talented colorist, and trusted resource for color consulting. Additionally, Kent is the senior colorist for MasterClass. Kent brings hands-on expertise, a creative eye, and a behind-the-scenes knowledge of the film and post production industry. Kim Salyer - is a pioneer in Bay Area post-production, founding San Francisco’s longest running Post House (1985-2011) and serving as Managing Partner, President and Executive Producer. Under his direction, Video Arts provided Color and Post for hundreds of Feature Films and Documentaries for some of America’s finest filmmakers, resulting in more than a dozen Academy Award nominations, and a host of other awards including National Emmy’s and Peabody Awards. Since 2012, Kim has continued to support filmmakers in getting their films ready for prime time, post-producing multiple winners at Sundance, Tribeca, Berlin, San Francisco and Toronto film festivals.  As a co-founder and EP of Color A Go-Go, Kim has teamed with Kent Pritchett to re-imagine the post process, focusing on Color, VFX and Finishing services and collaborating with filmmakers, both local and international. Todd Hemsley - is a San Francisco Bay native who spent 20 years working in the commercial and film industry in Los Angeles, working on feature films such as Pirates of the Caribbean, Gentleman Bronco, Apocalypto and commercials for Nike, Target, Toyota and more. A 3 year contracting gig at Apple brought him back to the Bay Area and now onto Color A Go-Go. Debra Carney - is an Advertising and Marketing Executive with over 15 years experience. She cut her teeth in the business as a copywriter at FCB on clients like Amazon, Fox Sports, AT&T and others. Over time, she found an affection for startups—providing marketing, strategy, branding, content and business development expertise. Her true passion is connecting people and nurturing those relationships. She’s excited to join the Go-Go Team with their Business Development efforts and Content Strategy. Debra holds a BS from the University of FL and went to The Creative Circus for Copywriting. David Murray- is a motion graphics and print designer with more than two decades of experience. With a degree in Fine Art from the University of Michigan (specializing in photography and experimental film), Murray arrived in San Francisco in the early 1990s to pursue his love of music. Quickly realizing that psychedelic rock music had limited career potential, he transitioned to the then-emerging field of digital motion graphics. Murray has worked on a vast range of projects: directing TV opens for KQED;high-end corporate work for clients such as Apple, Coke, Visa, and AT&T; large scale installations for Nintendo and the Olympics; plus countless independent films and documentaries. Murray continues to develop personal projects such as his comedic documentary *Livermore* (which aired nationally on Independent Lens) and the Grammy-nominated CD box set *Longing for the Past*, which he produced and designed. Brian Hofstetter - A technologist and many year veteran of digital media, motion picture and recording industries. Brian has created and directed connected entertainment and media strategic initiatives for over 20 years. He has also been responsible for creating, defining and executive producing the consumer experience and associated interfaces, media and campaigns for new products. Born in Los Angeles of 3 generation entertainment family, Brian began his uniquely merged entertainment and technology career by moving up the studio ladder with a variety of production roles on feature films such as “Mrs. Doubtfire,” “Nine Months,” “Beverly Hills Cop 3,” “Joy Luck Club,” and others. Brian holds a Bachelor of Arts degree in Psychology from the University of California, Berkeley. Jess Antrobus - is new to California, and excited to be a part of the Go-Go team. She attended Alfred University all the way in western New York to study English and Communications. Whoever said English majors never get jobs was sorely mistaken! She has used her writing and social media skills to do consulting for a handful of companies and continues her work with Go-Go on a daily basis. Jess has embraced the trademark of her generation and enjoys using social media to connect and create. In her spare time she enjoys Netflix, writing letters and casual hiking. Geoff Orthwein - is an award-winning director, editor & colorist, working on projects for Google, Salesforce, PBS, YouTube, Columbia Pictures, Sony Pictures, Warner Brothers and Walt Disney Pictures. Starting out in post-production he has worked as editor, VFX artist and colorist before moving to live production. He spent six years shooting and directing in San Francisco, Los Angeles, New York, Atlanta, Japan and Iceland before returning to his first love of post. Previous to that he worked with renowned underwater cinematographer Feodor Pitcairn on the custom, multi-screen film Ocean Odyssey, a permanent installation wrapping 270º around the Smithsonian Institution’s Ocean Hall, at the National Museum of Natural History in Washington DC. The installation opened to much acclaim, including an award for his work on the color. Mike Burton - is a colorist and post-production specialist working in film and television for 15 years. He completed his BA at the Academy of Art University in San Francisco CA. As a colorist, Mike has worked on commercial, feature film, documentary and corporate projects with clients like, Apple, Inc, Hewlett Packard, Lenovo, Clif Bar, McDonalds, Jeep, Microsoft, Adobe, Nike, and many more. In 2010, Mike started Pretty Moving Pictures, LLC where he’s worked on standout projects like “Dead Man Down”, “Quitters”, “Chasing Mavericks”, “Into the Storm" along with a number of independent feature productions. Mike’s drive to create stunning imagery for the screen keep him passionate and humble. Dave Franks - is a Los Angeles based Colorist and VR Stereoscopic Imaging Supervisor. Apart from his work with Color A Go-Go, Dave has most recently been working with Marvel Studios on-set and in post grading projects including: “Avengers: Infinity War,” “Guardians of the Galaxy Vol. 2,” and “Dr. Strange.” In addition to his creative eye for color and imaging, Dave has considerable experience in Visual Effects and Imaging Science, having worked in post-production on films such as: “Superman Returns,” “The Aviator,” and the Harry Potter series. Dave is a former stereographer with the Sony Pictures 3D Technology Center in Culver City, CA, educating industry veterans on advanced techniques in stereoscopic storytelling. He holds a degree in Optical Engineering from the Institute of Optics at the University of Rochester, and is an active member of the International Advanced Imaging and Visual Effects Societies. Scott Harris - is a motion graphics artist and illustrator who has been working in the broadcast advertising and corporate video industry for over twenty years. He was a founding member of The Filmworkers Club in Chicago and worked with Western Images and Video Arts after moving to San Francisco. His commercial clients have included most of the major agencies, working on spots for McDonalds, Coca Cola, Proctor & Gamble, and Nike and many others. He has designed and animated for corporate projects including Coca Cola and the Olympics, Nintendo, the San Francisco Symphony Orchestra and he has been the creative director and animator for numerous large-scale media productions for Dell Technology World and EMC World annual conferences. But mostly, he just likes to draw.